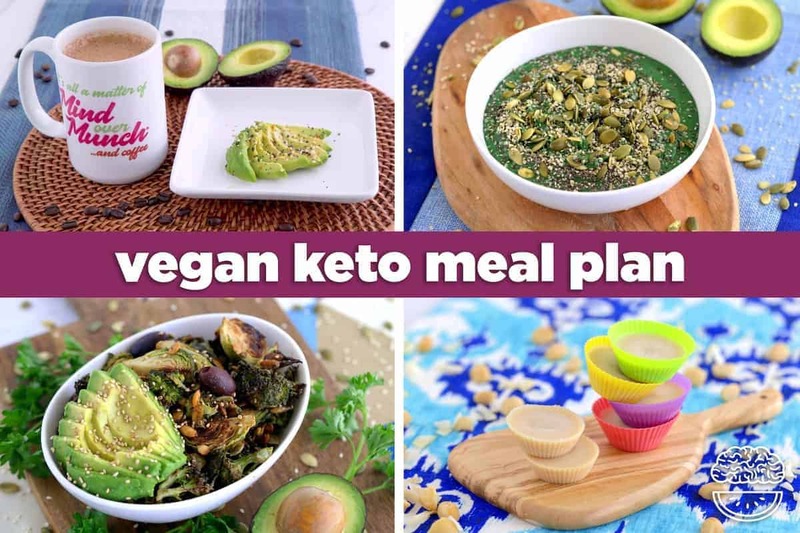 However, it’s important to note that this vegan keto meal plan is just ONE example of a day in the life of someone eating a vegan ketogenic diet. 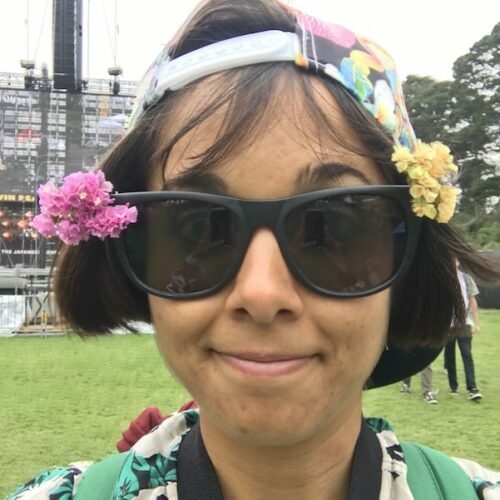 In part, I want to illustrate how much thought and consideration will go into crafting vegan keto meals for yourself—in terms of the ingredients AND the macronutrients—for just one day! 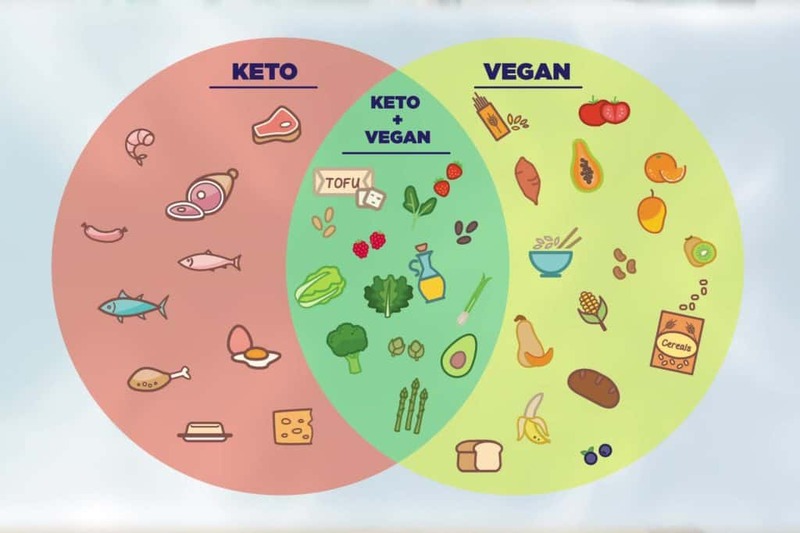 Most importantly, the long answer to the ‘vegan and keto’ question is: although it IS possible, it’s not EASY. When you combine two very restrictive diets and have to meet very specific macronutrient requirements, planning meals is tough! And, those added difficulties mean that a vegan keto diet isn’t feasible for many people long-term. And, as with any new health regimen, knowledge is power. I would never recommend that someone try a vegan diet OR a keto diet (let alone a vegan keto diet) without first doing their research. A vegan keto diet is sort of like the ultimate restrictive diet, which is why it’s crucial to get informed so you can make sound decisions for your body. But, Should You try a Vegan Ketogenic Diet? 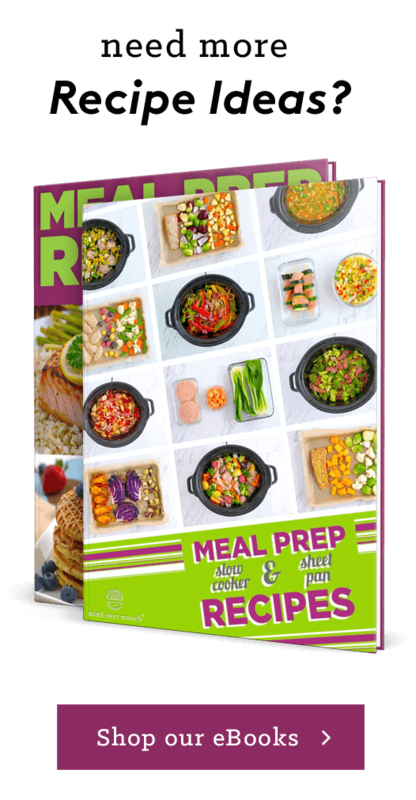 Sure, you can find and pay for a set vegan keto meal plan that has every single meal planned out for you, so you don’t have to do the thinking. But, if you want to have a truly sustainable vegan keto lifestyle (that doesn’t get boring or break the bank), just know that it will require a fair amount of learning and effort on your part. So, should you try a vegan keto diet? As always, my advice is: you do you! Would I personally eat vegan and keto at the same time? No—but that’s just my personal preference, based on my own research and experience with the two dietary lifestyles. Ultimately, YOU have to decide what’s right for your body, lifestyle, and budget. If you want to experience the benefits of ketosis while vegan, and if you’re committed and ready to learn, let’s dive right in! I’ll explain how I went about creating this vegan keto meal plan to give you some insight, and I’ll share some vegan keto tips and strategies along the way that can help you on your journey. If you’re not familiar with the keto diet or how ketosis works, check out my Keto 101 video to learn all about it! Or, watch my How to Get into Ketosis FAST video for tips on getting past the keto flu and into ketosis as smoothly as possible. Vegan Diet—a purely plant-based lifestyle that consists of eating fruits, vegetables, grains, and legumes, while excluding all meat and animal products (like eggs and dairy). Keto Diet—a high fat, moderate protein, low carbohydrate diet that aims to get the body into ketosis (i.e. switch from glucose to ketones as the body’s fuel source). Commonly consists of eating lots of vegetables, meat, and eggs, while eating little-to-no fruits, grains, or legumes. Like I said, a vegan keto diet IS possible, but only if you’re well-informed and motivated to do it! It’s also important to know that, on any keto diet, there’s no concrete fat-carb-protein ratio that guarantees getting you or anyone into ketosis 100% of the time. Differences in our individual metabolisms, insulin resistance, carb tolerance, and health history all play a role in how we metabolize glucose, and what it takes for our bodies to transition into ketosis. The ratio works for one person, may not work for another person! In this vegan keto meal plan, I’ve kept the macro ratio in a range that can get most people into ketosis: high enough fat, low enough net carbs, and moderate protein. But, just keep in mind: every body is different! What are Net Carbs & Carb Tolerance? Often, suggested macro ratios for a keto diet talk about carb intake in terms of net carbs. But what is a net carb? Basically, they’re the carbs that “matter” for keto purposes. Net carbs are the remaining amount of digestible carbs you’ve consumed—after accounting for dietary fiber, which are non-digestible carbs. So, you take the number of total carbohydrates in a meal or food, then subtract the amount of fiber in that meal or food to get the grams of net carbs. In this vegan keto meal plan, I kept the net carbs in the lower range of 20-25g, since most people’s bodies can get into ketosis with that low of a net carb count. But, it really varies from person to person, depending on your carb tolerance—a.k.a. how many carbs your body can handle on keto. One person might need to limit their net carbs to 20g or less per day, while another person’s body might be able to handle 40-50g. Some people can handle more fiber than others, some can handle more protein, you really just have to adjust your ratio until you find what works for you. Unfortunately, the best/only way to reliably check whether or not you’re in ketosis is by testing your blood ketone levels with a good ol’ finger prick… But, if you can handle the pain, it’s worth it! By testing your blood ketone levels consistently, you’ll get a sense of YOUR individual carb tolerance, or how many carbs your body can handle while still staying in a ketogenic state. 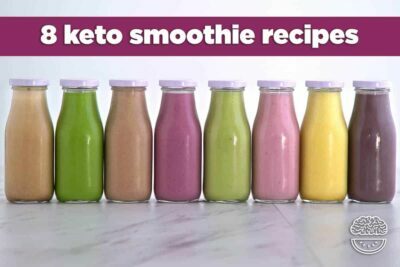 Learn more about individual carb tolerances and how we all metabolize glucose differently in my Keto Smoothie Recipes blog post! If you’ve been eating vegan for a while now, you know that soy is one of the best plant-based protein options, and one of the few that’s a complete protein with all 8 essential amino acids. And, it can also be a quality source of dietary fats, which are crucial on a keto diet. In a 3 oz serving of super-firm tofu, there are around 9g of protein, along with 4g of fat, and only 2g of net carbs! Plus, there are loads of different soy products and different ways that you can prepare them to fit more protein and fat into your plant-based diet. So, if you DO eat soy and want to try a vegan keto diet, that’s great! Honestly, tofu, tempeh, and seitan are some of the best options as far as protein- and fat-rich plant-based foods go. And, including them in your vegan keto meals will make it easier to keep things versatile and prevent yourself from getting bored. Yet, on top of all the other restrictions, I made this vegan keto meal plan soy free, which means NO tofu, tempeh, seitan, edamame—none of it. Why?? 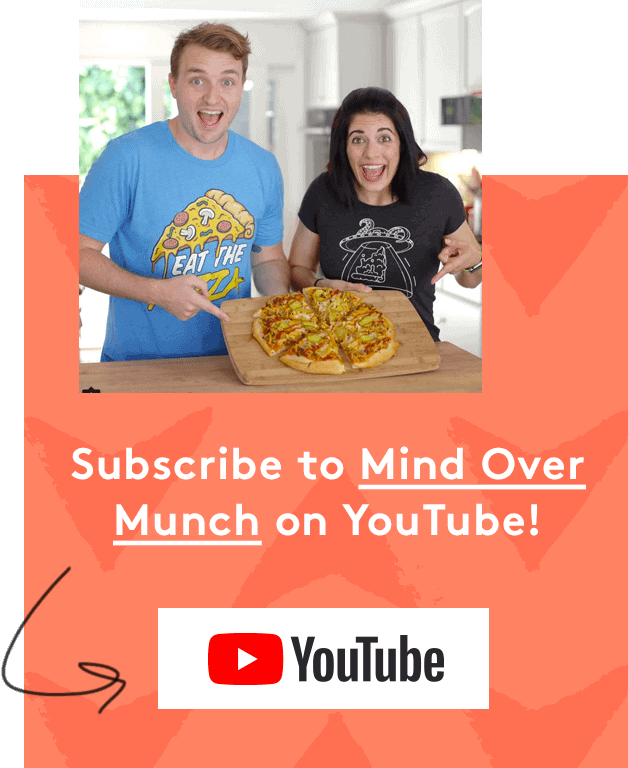 Well, mostly because so many of you asked for soy free vegan keto recipes! Which makes sense, considering soy is one of the top food allergens and one of the most common food sensitivities. Plus, despite how great its nutritional profile looks by the numbers, soy comes with its share of potential health concerns. Personally, my body doesn’t handle soy well, so I don’t eat it often. (Although soy milk is my guilty pleasure…) But, if you also choose to exclude soy from your diet, just be aware that your vegan keto meal options become much more limited (especially in terms of protein). As mentioned, getting enough protein on a vegan diet is already a challenge, especially when you’re excluding soy. And, since most quality protein sources (i.e. 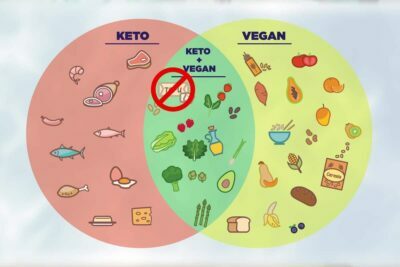 meat & eggs) are also some of the best fat sources for a keto diet, there’s pretty slim pickings for eating vegan and keto. That’s why this vegan keto meal plan is a bit lower in overall protein than most traditional keto diet plans—but that’s okay! Remember, a keto diet of any kind isn’t meant to be a high protein diet, so there’s some flexibility in the amount of protein you consume. But, there ARE some quality vegan fat sources and low carb vegan protein sources out there. At the end of the post, I’ve included some of my top vegan keto food suggestions if you’d like to learn more—and you’ll see them featured in the recipes below! For a fat-rich but dairy-free alternative to butter, try making vegan Bulletproof coffee with MCT oil instead! Just blend your brewed coffee, a tablespoon of MCT oil, and a dash of cinnamon in the blender until frothy, and you’ll have a rich, satisfying coffee that will keep you full for hours. Fat is the most calorie-dense macronutrient, so it also tends to be more filling. And, once your body is in ketosis, you won’t be feeling as hungry. Without the blood sugar spikes and crashes that come with a carb-rich diet, your body really will stay satisfied for hours. Plus, MCT oil is a superfood ingredient that can be used immediately by the body for energy to give you a morning boost! It’s also amazing for the brain and can help you to focus as you start the day. 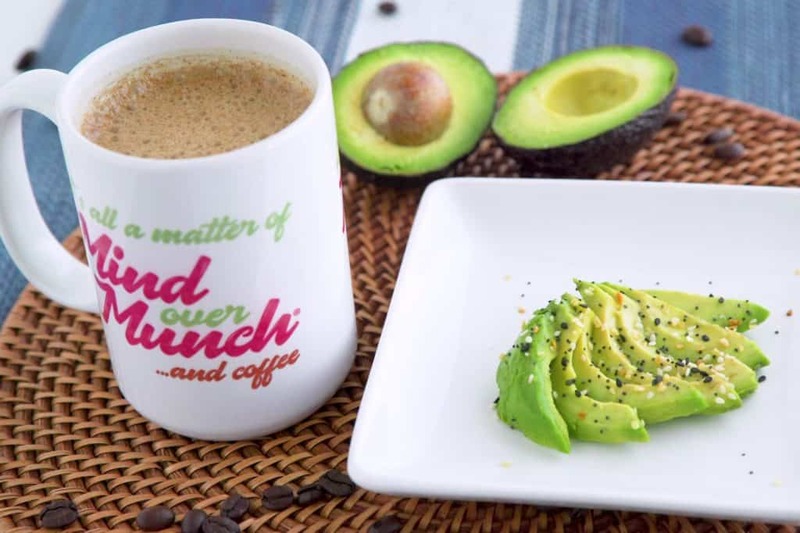 Serve that with half an avocado topped with a sprinkle of Everything But the Bagel Seasoning (my fave from Trader Joe’s), and you’ve got a nutritious vegan keto breakfast that’s ready in just minutes! In a blender, combine brewed coffee, MCT oil, and cinnamon. Blend until frothy and transfer to a mug to serve. Remove half of an avocado from skin and slice as desired. Sprinkle with Everything But The Bagel Seasoning (or homemade version). 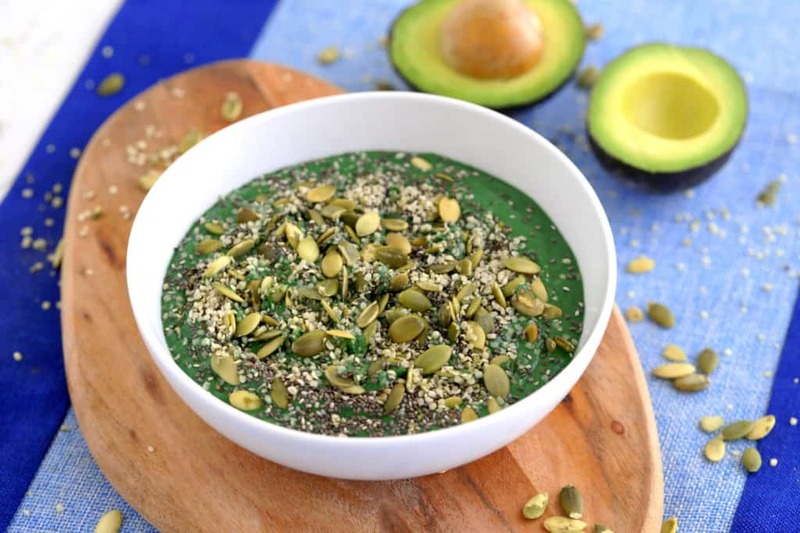 Smoothie bowls aren’t just for breakfast anymore—this vegan keto protein smoothie bowl is loaded with sneaky veggies and superfood ingredients! Thanks to the almond milk yogurt and spirulina, it’s packed with 23g of plant-based protein. And, spirulina is also what makes this a REALLY green smoothie. Honestly, it’s just as nutritious as any salad: loads of leafy greens, half an avocado, and a protein-packed, fat-rich trio of seeds on top. Except it’s sweet, creamy, and satisfying, and you don’t have to eat any leaves! Just be sure to choose a sweetener that doesn’t affect blood sugar, like stevia or erythritol. Add all ingredients (except toppings) to a blender and blend until smooth. Sweeten to taste, adjusting thickness to preference. Pour into a bowl, add toppings, serve, and enjoy! Add spinach, avocado, nut butter, and spirulina to a freezer-safe jar or bag and freeze. When ready to eat, thaw slightly before adding to blender with yogurt and milk. Blend, serve in a bowl with toppings, and enjoy! 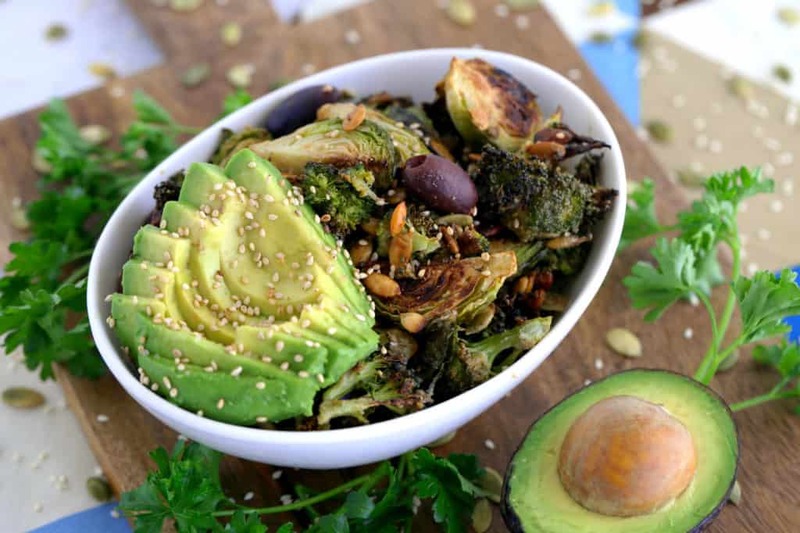 This low carb vegan buddha bowl features two of the most nutrient-dense and protein-rich veggies: broccoli and Brussels sprouts. And, since this vegan keto meal is entirely plant-based, you get to enjoy a nice, heaping serving! I actually love this meal, even as a non-vegan. Coat those vegetables in a deliciously savory coating of tahini, and you can pump up the plant-based protein and fats even more. Tahini is basically just sesame seed paste, which can contain as much as 8g of fat and 2-3g of protein PER tablespoon! It’s also totally scrumptious with a satisfyingly nutty, umami flavor. I also like to roast some pumpkin seeds with my veggies to add some crunch to this bowl—and roasting gives them an extra crave-able crunch! But, you can totally stir them in them after the fact with your olives, if preferred. Serve with some sliced avocado and a sprinkle of sesame seeds, and this vegan keto dinner offers you 50g of fuel-filled fats, 23g of vegan protein, and only 13g of net carbs! And, tons of veggies that I genuinely ENJOY eating. To a pan lined with parchment or foil, add broccoli, Brussels sprouts, and pumpkin seeds. Toss with oil, tahini, and salt. Remove from oven, add Kalamata olives to pan, and toss. Serve in a bowl with sliced avocado and a sprinkle of sesame seeds! Store cut vegetables and pumpkin seeds together in a jar or airtight container in the fridge. When ready to cook, add to pan, toss with seasonings, and roast. What are fat bombs? Basically, sweet little bombs filled with nutritious fats—perfect for a ketogenic diet! These vegan fat bombs can be a great way to up your fat ratio and satisfy your craving for a snack or sweet treat. And this recipe shows you how to make the most basic, easy fat bombs ever with just 2 ingredients: coconut oil and macadamia nut butter. No sweetener needed! 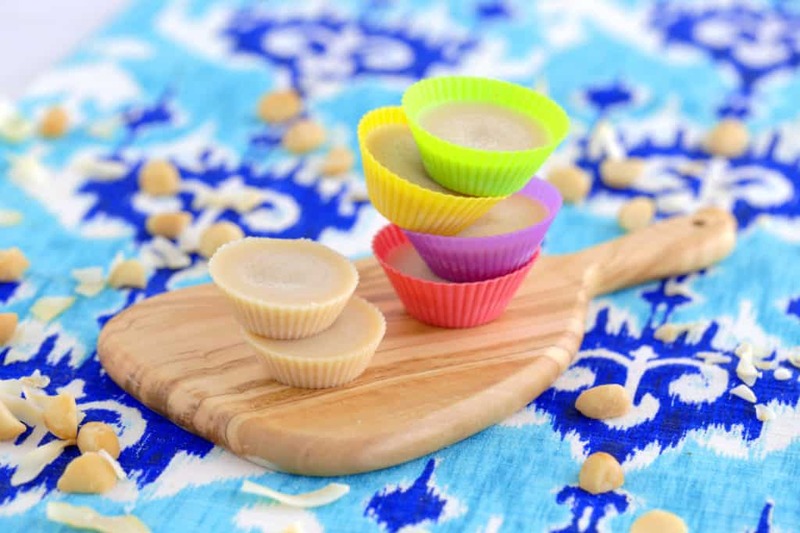 Simply warm your macadamia nut butter, mix with melted/liquid coconut oil, transfer to silicone molds, and freeze. Keep them stored in the freezer, and you’ll have convenient vegan keto desserts at the ready whenever you want ’em! Heat macadamia nut butter in a saucepan or in the microwave until warm. Add coconut oil and mix together. Portion mixture into desired silicone molds and freeze, around 1-2 hours. Once set, remove fat bomb from mold and enjoy! Yields 12 vegan fat bombs (4 servings). Colorless, odorless, and neutral in taste, MCT oil can add loads of fuel-filled fats to shakes, smoothies, or a vegan Bulletproof coffee. Just 1 tablespoon of MCT oil contains 14g of plant-based fats, derived from coconut oil! But, coconut oil itself is also naturally rich in MCTs (just not as highly concentrated) and a great high fat vegan food. You can just as easily add coconut oil to smoothies instead of MCT oil, and it’s the perfect, fat-rich base for the ultimate vegan keto desserts: fat bombs! Arguably, one of the most delicious plant-based fat sources (and my FAVORITE), with around 11-15g of fat per half avocado—depending on the size/variety. Plus, 1-2g of sneaky protein! Also, avocados are an incredible source of fiber, with 5-7g per half avocado and only around 1g net carbs. A staple option that can add nutritious fats to just about any of your vegan keto meals AND keep the net carb count lower! Both olives and avocados are rich in heart healthy monounsaturated fats (MUFAs), which have some incredible anti-inflammatory properties. In just 4 pitted Kalamata olives (15g), there are around 4.5g of total fat—or about 1g of fat per olive! Although they’re not a great source of fiber (only about 1g per 4 olives), they’re just as low in carbs so they’ve got 0g net carbs overall. Green olives are similar to Kalamata with <1g net carbs in the same size serving, except they’re slightly lower in fat and calories per gram. Both can be great vegan keto snack to munch on, or add to a savory bowl for a nutritious, salty topping! Pretty much the perfect nut for a ketogenic diet, macadamias are one of the highest fat and lowest carb nuts that you can eat! (And, one of the most buttery and irresistible.) They’re SO much fun to snack on for a boost of satiating fat, or you can blend them up to make the most indulgent nut butter on the planet. In about ¼ cup (28g) of macadamia nuts, there’s a whopping 21g of fuel-filled fats—most of which are the anti-inflammatory superstars, MUFAs! That same serving size also contains 2.5g of fiber, only 1.5g of net carbs, and even 2g of protein as a nice bonus. And, just 2 tablespoons of macadamia nut butter contain 18-20g of fat and only about 1g net carbs. Although all nuts tend to be higher in fat than many other plant-based foods, these are 3 of the most fat-rich, most keto-friendly, and fairly common in most grocery stores! Most other common nuts (i.e. almonds, cashews, pistachios, peanuts) only offer 12-14g fat per serving. And, they tend to be higher in net carbs—like pistachios and cashews, with 5-7g net carbs per serving. 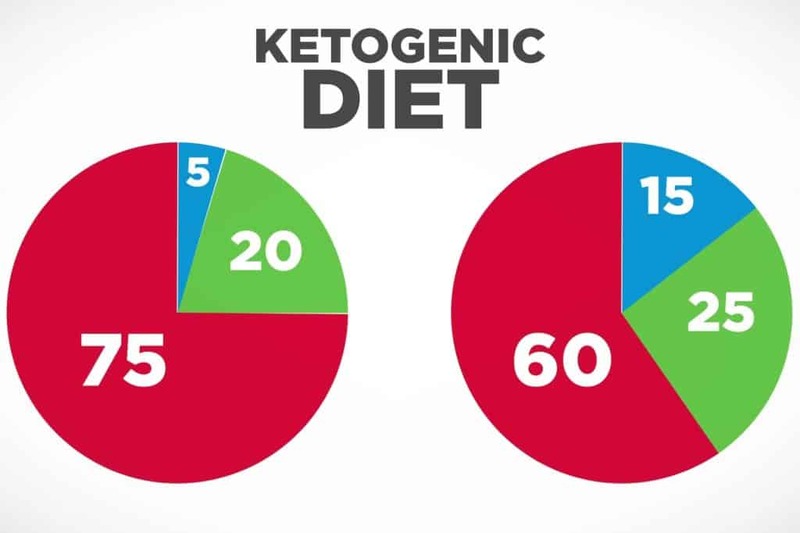 So, overall, not as ideal for a vegan keto diet, where you’re looking to maximize your fat intake and limit your overall net carbs. That means the majority of this green stuff is just pure vegan PROTEIN, from algae. Say what?! And, it’s an incredible source of micronutrients and powerful antioxidants that can protect us from free radical damage. BUT, keep in mind: spirulina does have a fairly pungent smell and funky taste. Honestly, it sort of tastes like seaweed. So, use with caution and start small! I recommend going with 1 teaspoon at first, then adjusting to your taste until you find what works for you. As you get used to spirulina, you might be able to handle as much as 1-2 tablespoons, which would get you in the range of 6-12g of protein. Personally, I stick with 1-2 teaspoons MAX…but I don’t use it very often. If you’re able to handle more, spirulina is definitely a quality low carb vegan protein option you’ll want to keep on hand! Surprisingly, broccoli is pretty rich in protein with 2.5g per 1 cup chopped (~90g)—along with 2.5g fiber and only 3.5g net carbs! Plus, an all-star source of immune-boosting vitamin C, bone-strengthening vitamin K, and loads of other essential micronutrients. Another high protein low carb veggie, similar to broccoli! In 1 cup of Brussels sprouts (~90g), there are 3g protein, 3.5g fiber, and only 4.5g net carbs. Plus, both Brussels sprouts and broccoli belong to the same, superfood family of cruciferous vegetables. They’re some of the best-studied veggies because of their unique organic compounds that can produce powerful cancer-fighting effects! One of the most nutrient-dense and protein-rich leafy greens on the planet! Spinach is an incredible source of vitamin K, vitamin A, folate, vitamin C, and manganese. Plus, 1 cup (30g) contains around 1g of sneaky protein and <0.5g net carbs! While kale gets all of the superfood attention, it actually may not be the ideal choice to include regularly on a keto diet. Yes, it’s extremely nutrient rich, and contains 2g of protein per cup. But, that same serving also contains around 5g of net carbs or more. For a boost of both plant-based protein and fat, try almond milk yogurt! A 5.3 oz serving (~⅔ cup, or 150g) can contain 5-6g of protein and 13-16g of fat, with only around 1g net carbs. It’s a great dairy-free yogurt alternative for snacking, adding thickness to smoothies, or using in vegan keto recipes of any kind! But, BEWARE of flavored and sweetened varieties with non-dairy yogurts. Those added sugars and even some sweeteners can still affect blood sugar, which would not be ideal for the purposes of a vegan keto diet. It can be surprisingly hard to find completely plain, unsweetened non-dairy yogurts, so be sure to READ the label and ingredients carefully on whichever variety you choose! Hemp hearts (a.k.a. shelled hemp seeds) are an AMAZING food to make use of on a vegan keto diet. In a 3 tablespoon (30g) serving, you get 15g of plant-based fats, 10g of protein, and 0g net carbs! They’ve got a nutty flavor and satisfying crunch, perfect for sprinkling onto a smoothie bowl, yogurt, a salad, or anything you like. Chia seeds are a great source of plant-based protein and fats. In just 1 tablespoon (12g) of chia seeds, there are around 2-3g of protein and 3-4g of fat! Although they’re are a bit higher in total carbs, most of those carbs are fiber so they’re lower in overall net carbs. Depending on the brand, 1 tablespoon can have as few as 1g or 0g net carbs! Ground flaxseed has a similar nutritional profile to chia seeds, though it can vary depending on the brand. A 2 tablespoon (13-14g) serving contains 4-6g fat, 3-4g of protein, and around 1g net carbs! BUT, should you include flaxseed in your diet, be sure to use ground flaxseed because whole flaxseeds are very difficult/near impossible for the body to digest. Best of all, these 3 superfood seeds are all some of the best sources of plant-based omega-3 fatty acids. So, whether you’re trying the vegan keto diet or just committed to a plant-based lifestyle in general, find ways to fit more hemp, chia, and flaxseed into your diet! Omg, I wasn’t thinking of doing this vegan keto thing but thus is so well done! Thanks for your time and effort. So glad I found you! Amazing! So happy to hear this post proved to be useful for you 🙂 glad to have you here! !